Google AdWords can be defined as an advertising platform by Google. Here ads are served to the visitors of the site when they are performing a search. A major benefit of Google AdWords lies in the fact that it helps in improving the online visibility of the brand and offers faster results. Adwords mainly work on the competitiveness and relevance of a keyword. 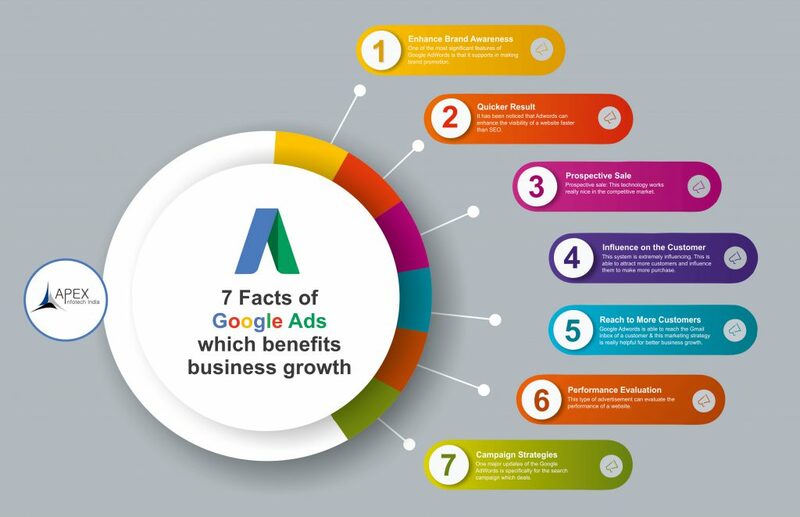 Here we can take a look at 7 benefits of AdWords which are useful for all types of business. Enhance brand awareness: One of the most significant features of Google AdWords is that it supports in making brand promotion. It will advertise the product to the audience researching through a search engine. Here you can hire professional Google Adwords Agency and get the best support in this regard. Quicker result: It has been noticed that Adwords can enhance the visibility of a website faster than SEO. Hence in this competitive market, it is really helpful for driving sales. Prospective sale: This technology works really nice in the competitive market and hence it is really easy to enhance the prospective sale of your business without getting into nasty brand fights with competitors, especially on the billboards. More influence on the customer: This system is extremely influencing. This is able to attract more customers and influence them to make more purchase. Reach to more customers: Google Adwords is able to reach the Gmail inbox of a customer and this marketing strategy is really helpful for better business growth. Performance evaluation: This type of advertisement can evaluate the performance of a website. Such an evaluation is not possible to get through newspaper and other types of advertisements. AdWords performance will show sign of improvement in terms of CTR as well as conversions in a months’ time. Campaign Strategies: One major updates of the Google AdWords is specifically for the search campaign which deals with data related to user demographics like gender, age, and parental status besides many other. Look for one of the best Google Adwords service provider India to assist you in growing your business online considering the benefits which this platform offers.